There is not a lot of opportunity to watch basketball on television in Italy. However, throughout the last couple years there has been a growth in media coverage for the sport. Local games remain difficult to come by because the media deals that are made do not provide production equipment which can be quite expensive. Teams are required to provide their own media equipment if they would like to be broadcast on Rai Sky the lead coverage of sports in Italy or be popular enough to draw a large audience. Beyond coverage on blogs like firenzebasketblog or other journalistic projects, coverage is beginning to grow, but is still not on the level that other sports like soccer have in the media environment. Rai Sport had made a deal with the Italian Basketball Federation (FIP) to play Italian national team games until 2021. This gives basketball an opportunity to be seen on a wide scale and to showcase the sport at one of its highest levels. It is easier to find media coverage if you are looking to watch Euroleague basketball. Sky Italia covers all continental competitions such as the 2017 and 2021 editions of FIBA EuroBasket and the 2021 editions of Americup, Asia Cup, and AfroBasket Cup. Working with Perform, Sky Italia is committed to helping increase the value of the basketball fan experience. Perform will work with four FIBA Basketball World Cups and provides coverage for both the men’s and women’s team competitions. Fox Sports that launched in 2013 carries NCAA sports, MLB, NFL, and most importantly Euroleague Basketball. The difference between Italian and American media in this respect is that we can find broadcasts on a variety of channels for games. There are two different versions of ESPN to broadcast games, and the NBA is usually broadcast on TNT or ABC and there is also an NBA network. There are also many networks to broadcast the NCAA college basketball games like CBS or Fox Sports 1. However, the power is in the experience; the atmosphere and environment that watching a sport live can create. There is an opportunity to watch games on television, which is continuing to grow but the ability to watch games live is something that thrives in Italy with such vibrant fans. With the advancement of social media there is an opportunity to stay up to date with games, continue to stay updated on Twitter or Facebook with any advancements of your team, and have quick access to coverage with apps. Teams have started to use Facebook Live as a tool to broadcast games and expand their reach. This past season for example a number of Serie B teams have used the live streaming tool to engage fans who can not make it to the live game and used Facebook to alert fans that games had begun. 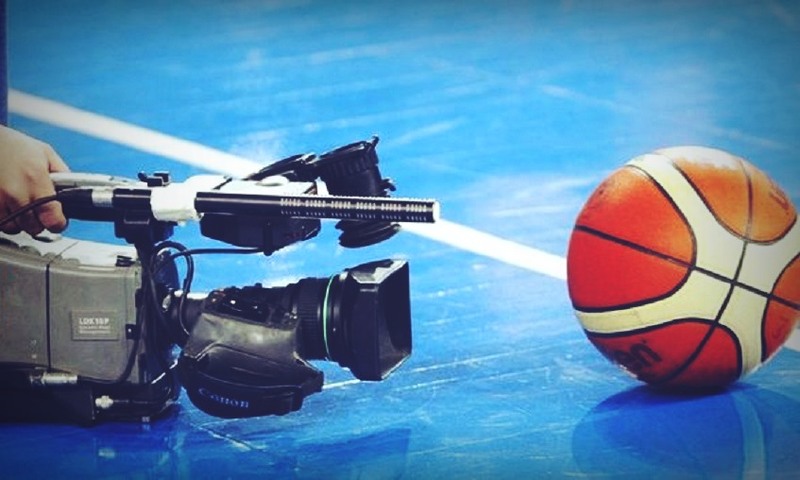 With the continued growth of basketball in Italy and social media, hopefully one day we will be able to watch and stay up to date with all series games and grow beyond just the national team on television. But for now you can find a way to watch some of your favorite teams, that do not get national coverage, on their social media pages.